To claim this profile, please confirm you are Cerina Rhodes. To follow this profile, please let us know your relationship to Cerina Rhodes. Cerina's basketball stats have been updated for the win vs. Averroes. RESULTWin Girls varsity basketball vs. Averroes. The Emery varsity basketball team won Thursday's home non-conference game against Averroes (Fremont, CA) by a score of 45-19. Cerina's basketball stats have been updated for the win vs. Oakland Military Institute. The Emery varsity basketball team won Tuesday's home non-conference game against Oakland Military Institute (Oakland, CA) by a score of 42-39. Cerina's basketball stats have been updated for the win @ Fremont Christian. RESULTWin Girls varsity basketball @ Fremont Christian. The Emery varsity basketball team won Friday's away non-conference game against Fremont Christian (Fremont, CA) by a score of 48-45. Cerina's basketball stats have been updated for the loss @ Cornerstone Christian. The Emery varsity basketball team lost Thursday's away non-conference game against Cornerstone Christian (Antioch, CA) in overtime by a score of 47-41. RESULTWin Girls varsity basketball vs. KIPP SF College Prep. The Emery varsity basketball team won by forfeit in Monday's home conference game against KIPP SF College Prep (San Francisco, CA). Cerina's basketball stats have been updated for the win vs. Quarry Lane. RESULTWin Girls varsity basketball vs. Quarry Lane. The Emery varsity basketball team won Wednesday's home non-conference game against Quarry Lane (Dublin, CA) by a score of 51-19. Cerina's basketball stats have been updated for the win @ Cambridge International Prep. RESULTWin Girls varsity basketball @ CIP. The Emery varsity basketball team won Friday's away non-conference game against Cambridge International Prep (San Francisco, CA) by a score of 46-15. Cerina's basketball stats have been updated for the loss vs. College Prep. RESULTLoss Girls varsity basketball vs. College Prep. The Emery varsity basketball team lost Tuesday's home non-conference game against College Prep (Oakland, CA) by a score of 50-33. Cerina's basketball stats have been updated for the loss vs. Head-Royce. RESULTLoss Girls varsity basketball vs. Head-Royce. The Emery varsity basketball team lost Thursday's home non-conference game against Head-Royce (Oakland, CA) by a score of 56-29. 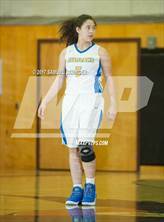 Cerina's basketball stats have been updated for the loss vs. California School for the Deaf. RESULTLoss Girls varsity basketball vs. CSD. The Emery varsity basketball team lost Wednesday's home non-conference game against California School for the Deaf (Fremont, CA) by a score of 60-44.